HPC cloud specialist Nimbix this week announced the addition of IBM’s Power9 technology to the Nimbix cloud starting with an early access “gated program” available now to be followed by broader access in the spring. Timing of the announcement coincided with IBM Think 2018 Conference being held in Las Vegas and Nvidia’s GPU Technology Conference (GTC) scheduled for next week in San Jose. IBM also announced expanded access to Power9-based servers on IBM’s Cloud (read our coverage here). Roughly a year and half ago Nimbix jumped onto the IBM/OpenPOWER bandwagon by adding Power8-based Minsky machines from IBM, including the IBM PowerAI bundle of optimized AI tools (e.g., frameworks, databases, libraries, etc.). This follow-on commitment, say both Nimbix and IBM, is a sign of strengthening traction for Power-based platforms. Nimbix has long positioned itself as a leader in providing cloud-based heterogeneous computing but centered on using FPGAs and GPUs not alternative CPUs. Nimbix does not currently support the Arm processor, which might now seem like a possible next step. Regardless, Nimbix remains a strong Intel shop – it is currently undergoing a massive processor refresh swapping in Skylakes and around 80 percent of workloads run on Nimbix are on x86 – but its willingness to offer Power-based systems reflects debate in the HPC and enterprise community around which technologies will win in the emerging AI era. Hebert’s characterization of the advantages of each platform seems understated, perhaps predictably since Nimbix supports both. “For us, quantifiable advantages generally come down to which ‘machine’ produces more results per unit time at the lowest cost. I think the Power+GPU with NVLink systems have some strong advantages for various software stacks that can take full advantage of the system bandwidth available from those systems. Nimbix continues to support many workloads on x86+PCI GPU and x86+Nvlink GPU as well since so many software stacks “just work” in those environments,” said Hebert. The market will ultimately decide. There’s clearly a major push by IBM/OpenPOWER to lay claim to AI computational infrastructure landscape. It is being positioned as virgin territory better served by Power9 architecture, not dominated by x86, and on the edge of a massive adoption/deployment inflection point. This was certainly the central theme for IBM Think 2018. IBM says the Power9 processor, introduced in December, was designed from the ground up around AI/deep learning/machine learning workload requirements; its high memory bandwidth, enhanced connectivity (NVLink, OpenCapi), and Power instruction set are all tailored for accelerated computing and AI. The new Nimbix offering is IBM’s Power System AC922 based on the IBM Power9 processor, introduced in December. IBM says Power9 was designed from the ground up with AI workloads in mind; its high memory bandwidth, enhanced connectivity (NVLink, OpenCapi, PCIe4), and Power instruction set are all tailored for accelerated computing and AI, says IBM. Not surprisingly, IBM is forcefully marketing the AC922 as mini-Summit node. Summit is the DOE-funded pre-exascale supercomputer being built at Oak Ridge National Laboratory. It is based on IBM Power9 chips and Nvidia V100 GPUs and is anticipated to reach 200 petaflops peak. If stood up in time to be benchmarked for the June Top500 List, many expect Summit to top the list, the first time a U.S. machine has done that in several years. Nimbix’s AC922s are essentially the same as the Summit nodes but have four instead of six GPUs (Nvidia V100s) and two Power9 processors per node. Porting the cognitive software platform to the Nimbix AC922 systems is ongoing. Nimbix CTO Leo Reiter said the PowerAI suite, available on the Power8 Minsky machines on Nimbix, is not fully ready on the Power9 platform but would be soon. “It’s early days so we are in the midst of fostering all of the cognitive software platform, all of the accelerated databases [that] we’re looking to bring up on Power9. There are some things IBM has to do but that’s all being handled very rapidly,” according Reiter. Speaking at a press conference during Think 2018, Bob Picciano, Senior Vice President of Cognitive Systems, said “the capabilities for PowerAI will be made present [in the IBM Cloud] in the second quarter.” It seems likely loose ends will be tidied up quickly. Nimbix finds itself in an interesting position. As the big hyperscalers wade deeper into providing advanced computing technologies (GPU, FPGA, et al) and AI/data analytics services, Nimbix’s claims of advantage built around heterogeneous computing/HPC expertise – accelerators, large memory systems, InfiniBand EDR throughout – loose some of their luster. Being drawn into a technology arms race with large cloud providers would be counterproductive, Hebert recognizes, but growth is necessary. “In the early days we were a sand box because we were tiny but our strategy all along was build a global supercomputing platform that scales to infinity, just like the other guys. We’ve gone from handfuls of sand box machines to datacenters full of machines and serve users in 68 countries. Not only are the larger customers growing their spend with us, but the number of new logos that we are winning is increasing,” according to Hebert. The point, he said, is to balance technology refreshes because you have to monetize your prior generation assets. “For example, we have made investments in P100 (GPUs). We didn’t make huge investments there. Thank goodness. Because that would have been a bad decision. The other cloud providers, the same thing. Microsoft and Google came in a little late here with the K80s,” said Hebert. 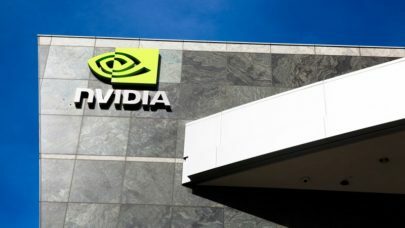 Indeed, Nvidia’s launch of the Volta V100 just one year after the P100, and then positioning the V100 as a ‘do everything’ high-end GPU has the potential to quickly devalue P100-based systems. AI writ large perhaps presents an opportunity for Nimbix to make AI a point of emphasis given its dependence on accelerated computing. AI is a tiny market at the moment – market watcher Gartner suggests only about four percent of enterprises have deployed AI in a meaningful way. The combination of new technology and tools needed to deliver AI combined with Nimbix’s ability to mitigate some of the complexity-to-use obstacles through its container-native infrastructure gives Nimbix an edge according to Hebert. Collaborating closely with IBM could be a critical wedge. “We were the first in the world to offer a container built service for Power. In other words if you wanted to build a container for IBM Power, you can actually do that as a service on our platform. This was last year. That’s been a hugely impactful thing for the ecosystem because it allows ISVs to start to make your applications portable between architectures,” said Hebert. “IBM is running a big portion of its cognitive training classes and data sciences experiences on our cloud, globally. They are rolling these out to thousands and thousands of data scientists around the world. There are enterprises but I would argue they are not in the same state. It’s not like they have these well-vetted AI pipelines. They are all just beginning to invest.” For Nimbix, the IBM training contract is a significant mutually-beneficial piece of early business on Power platforms, and dealing with AI issues. Cloud providers sometimes asked to distinguish between development and so-called production AI projects they support with growth in production projects seen as evidence of ‘real’ AI traction versus development efforts that may or may not lead to volume activity. Yet in practical terms most enterprises are far from ready to deploy AI. “It’s sort of a semantic term because most ‘production’ is still in a zone of innovation not mainstream, what I call a full AI pipeline. So if you were to use one of the most mature cases, autonomous vehicles, you’ve got huge clusters of GPU machines training neural networks that are then being pushed into inference engines in the car, and then those cars came in after running, they do a data dump, they filter data, feed it up, tune the model, this is a full pipeline. Not many are doing this. One hurdle is the lack of data scientists. “I was in Houston with the oil and gas guys and everyone is investing in these data science teams and what they are doing is transforming their analytics guys, the traditional statistical analytics, and having to morph those guys and collide with deep learning type data science. That takes a long time. Furthermore, they are not even sure of the petabytes of data that they have, how they’d begin to filter data to feed into a neural network to spit out something that will help run their reservoirs more efficiently. We are seeing these issues in every major enterprise,” said Hebert.